Straight green fruits are about 8 1/2" long by 2 1/2" thick. Very high yielding, very early. This Burpee bred cuke is resistant to mosaic virus and downy mildew. For perfect cukes, grow them on a fence or our space-saving Trellis Netting. 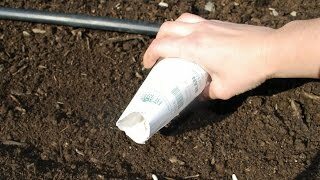 Sow seeds 6" apart in rows, or plant 5 or 6 seeds in groups (hills) 4-5 feet apart. Cucumber, Burpee Hybrid II is rated 4.9 out of 5 by 17. Rated 5 out of 5 by ladybug56 from Best tasting cucumbers Planted these last year for the first time. What a wonderful crop of cucumbers. The plants produced delicious vegies all through the summer. They were sooo tasty. Ordering them right now for this season. Rated 5 out of 5 by greatlakes molly from Beautiful cukes! Despite various fungal problems, the cucumber plants I grew kept producing, and the cukes were well shaped and delicious. Rated 5 out of 5 by Billybadboy from Great Cucumber I have planted these since Jim Crockett mentioned them in the Victory Garden decades ago. Yield like crazy, great fruit. This year I have been struck by Cucumber Wilt and only have one plant left! Think good thoughts. Rated 5 out of 5 by Rick Johnson from Best Cuke For Us Here in South Louisiana I have been planting Hybrid II for at least 30 years. My first yielded over 360 cucumbers from 8 hills of 2 vines each...neighbors love them, ha. I search to find them every year, as these are the only ones that I use now. Best place to get them is directly from Burpee. "Get you some"
Rated 5 out of 5 by Annomous from Excellent cucumber Good flavor,good size, and high yields. Started new plants July first for fall crop. 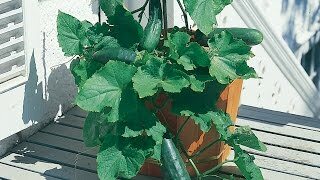 Rated 5 out of 5 by JBS3 from Fantastic cukes and fantastic producer With 3 plants I have loads of beautiful cucumbers. Next year I will dedicate one bed with plenty of trellis for this cucumber. I planted late (July 1) and have not seen a single cucumber beetle. No fungus either. Rated 4 out of 5 by Uncle Bob from Great this year, not so good last year This is my third year of growing this variety. I am getting a large volume of great looking cucumbers this year, as I did the first year. Poor results last year. I figure it's not the seed's fault, just the "growing conditions". I plan to keep using Burpee Hybrid II.